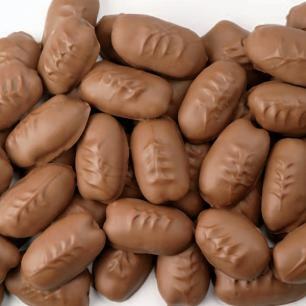 Sure to be received with great appreciation, our Natural Pecan Halves, Roasted & Salted Pecan Halves, Milk Chocolate Covered Pecan Halves, and White chocolate Covered Pecan Halves are packed in one pound gift bags ready to pass out individually to friends, relatives and business associates. 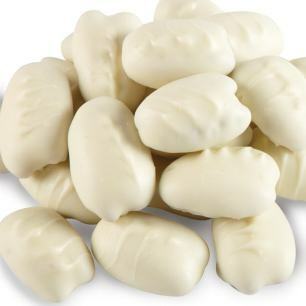 We pack three 1 pound bags of either Natural or Roasted & Salted Pecans in a box, or two 1 pound gifts bags of Milk Chocolate or White Chocolate Pecans in a box. Order several boxes today... it's a quick and easy way to say "Happy Holidays!" 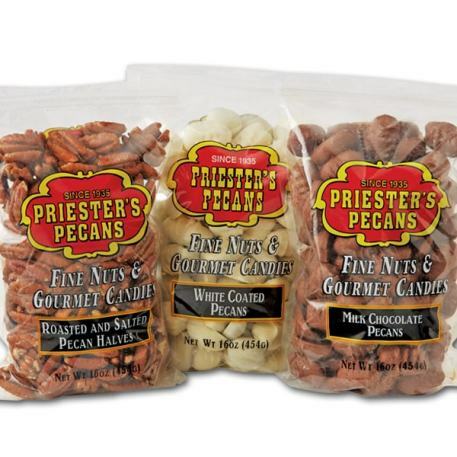 Our delicious White Chocolate pecans are carefully enrobed and then packaged in Priester's signature re-sealable zipper bags for guaranteed freshness for a great value. Delivered promptly! Fresh & Delicious! 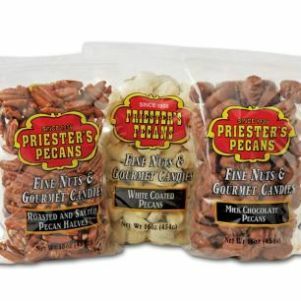 Love your pecans always fresh!! !